Walter F. Baczkowski, the co-founder of Creenan & Baczkowski, P.C., passed away on January 25, 2017. He was admitted to the practice of law in 1971. His first legal experience was serving as a trust officer of a national bank where he was responsible for the administration of estates, trusts, and guardianships. 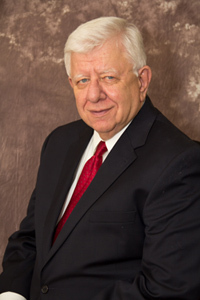 Subsequently, Mr. Baczkowski entered the private practice of law and concentrated his practice in the areas of estate, trust, and guardianships and municipal law during the last 40 years. In 1985, the Pennsylvania Supreme Court appointed Mr. Baczkowski as a member and later Chairman of the Pennsylvania Supreme Court Client Security Fund which decided costs involving claims of misuse, embezzlement or misappropriation of client's monies. Mr. Baczkowski was a long-time resident of Murrysville, a former member of the Franklin Regional School Board, and a former member of the Murrysville Zoning Hearing Board.